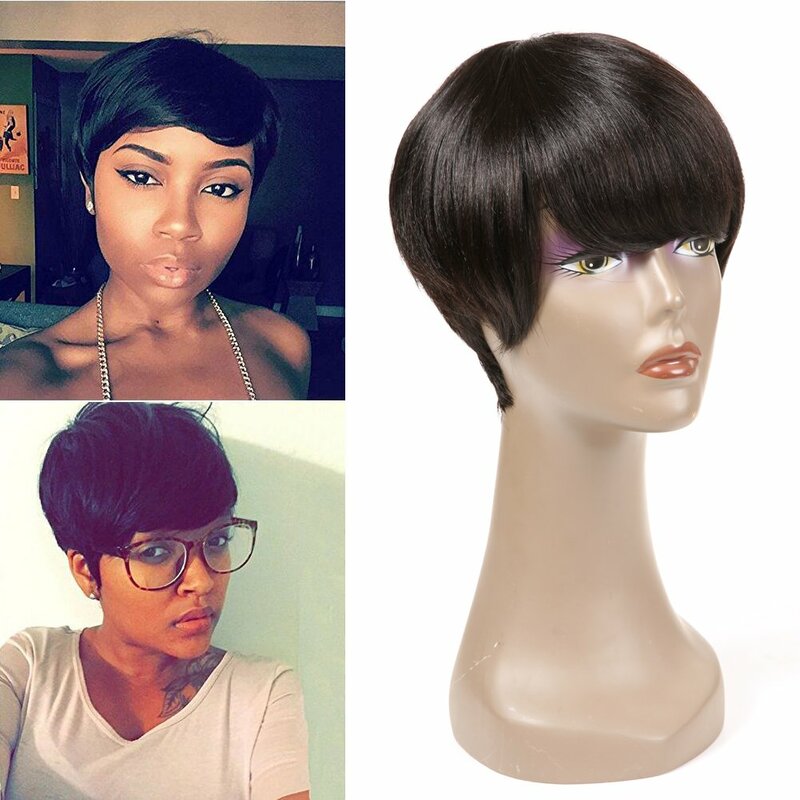 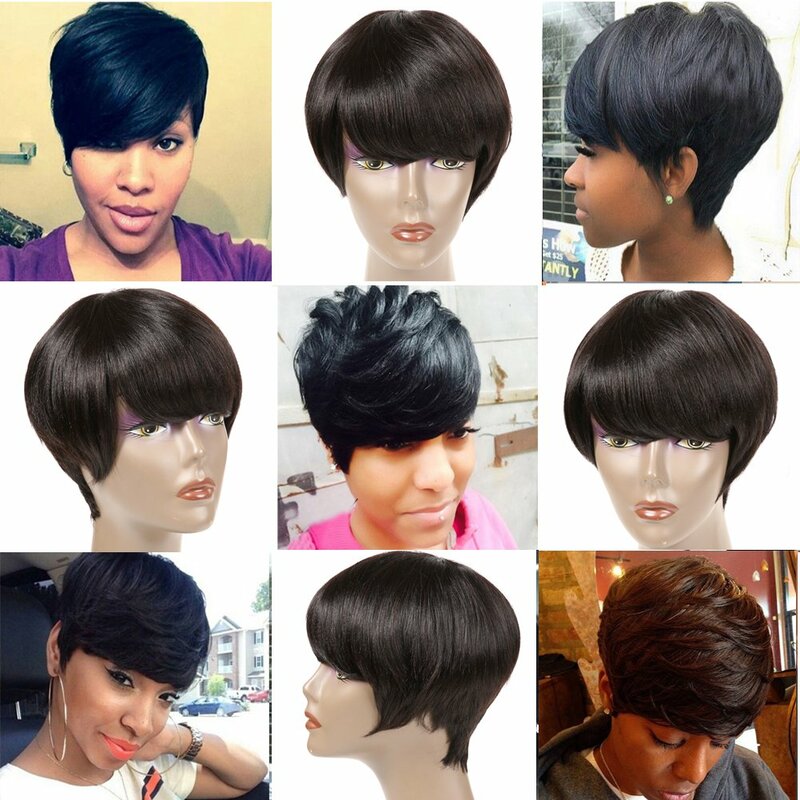 Hair Material: 100% Virgin Human Hair,Unprocessed Brazilian Hair, This bob wig will gives you beautiful looks,like your own hair,You can wear it in many special occasions. 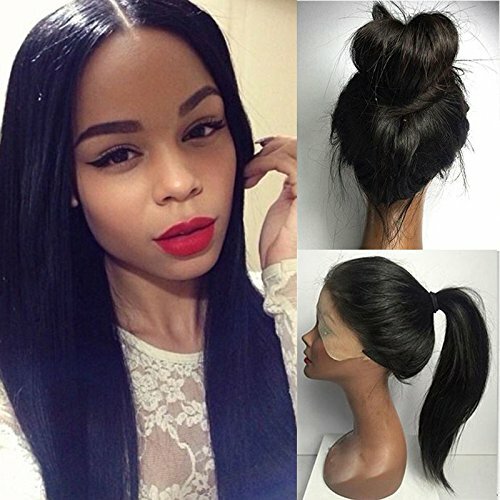 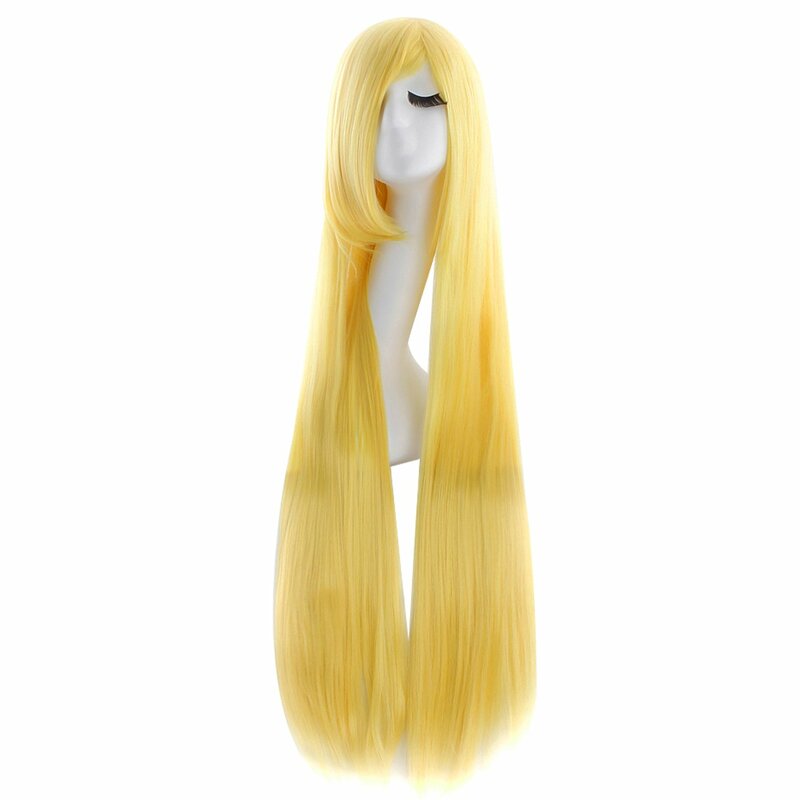 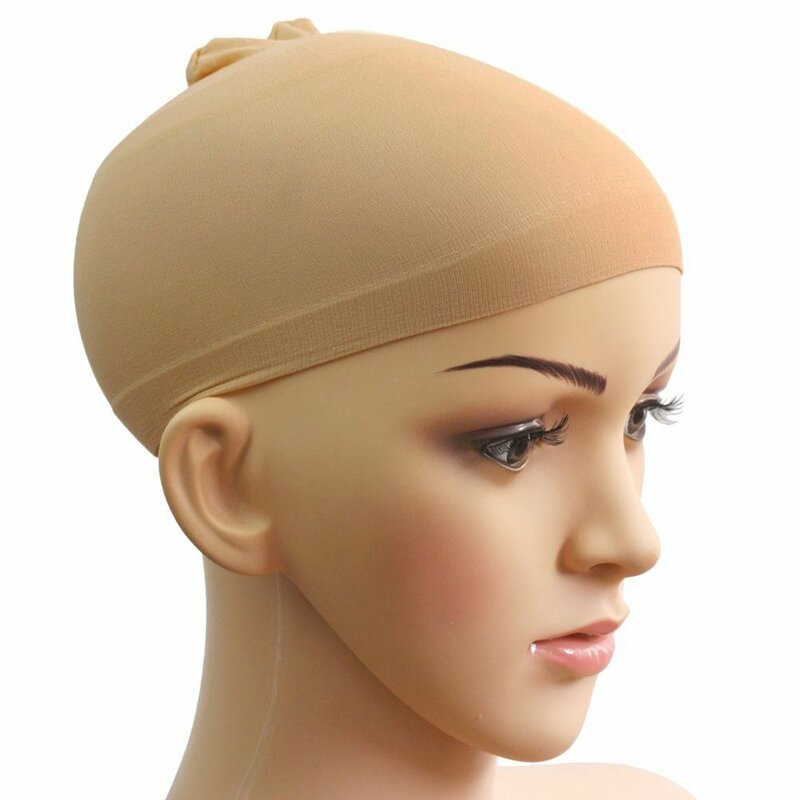 Wig Advantage:Brazilian Human Hair Wig with baby hair,Tangle free no shedding,no bad smell,can be dyed and bleached, can be curled and restyled. 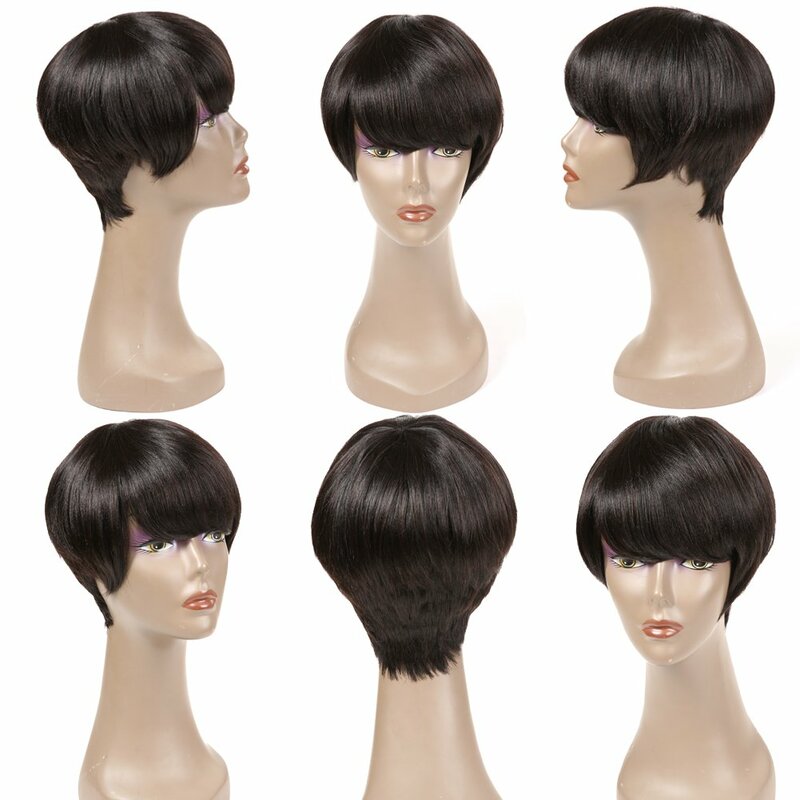 very soft,gentle to touch and easy to comb everyday.Easy to wear, light and comfortable. 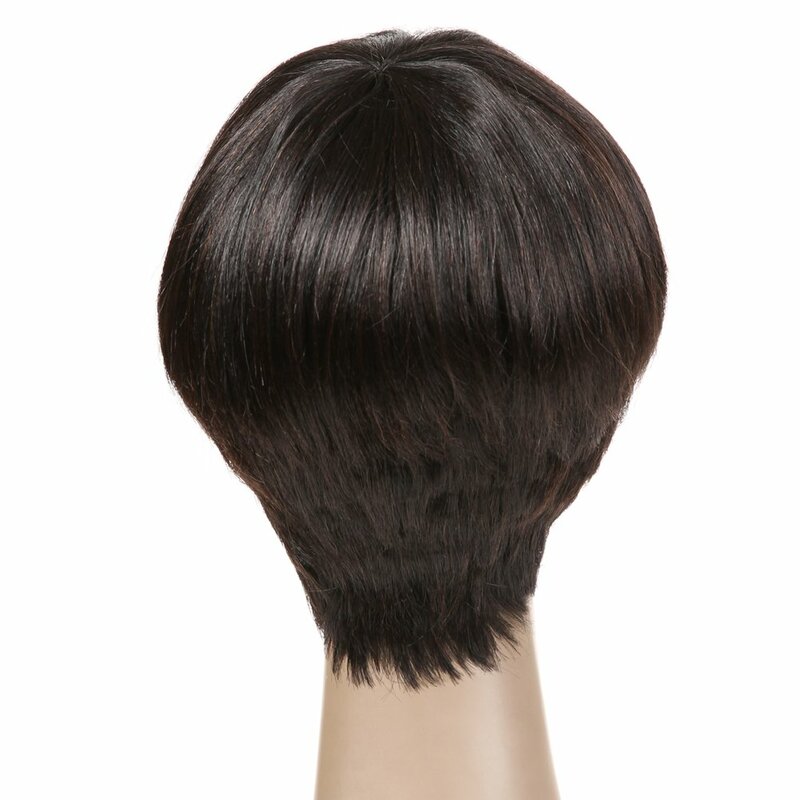 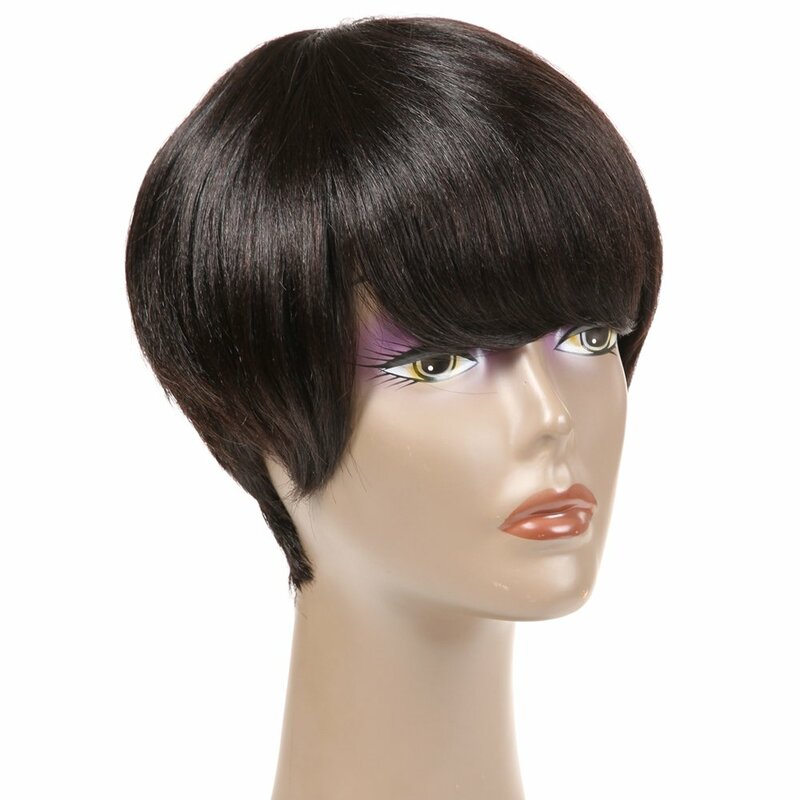 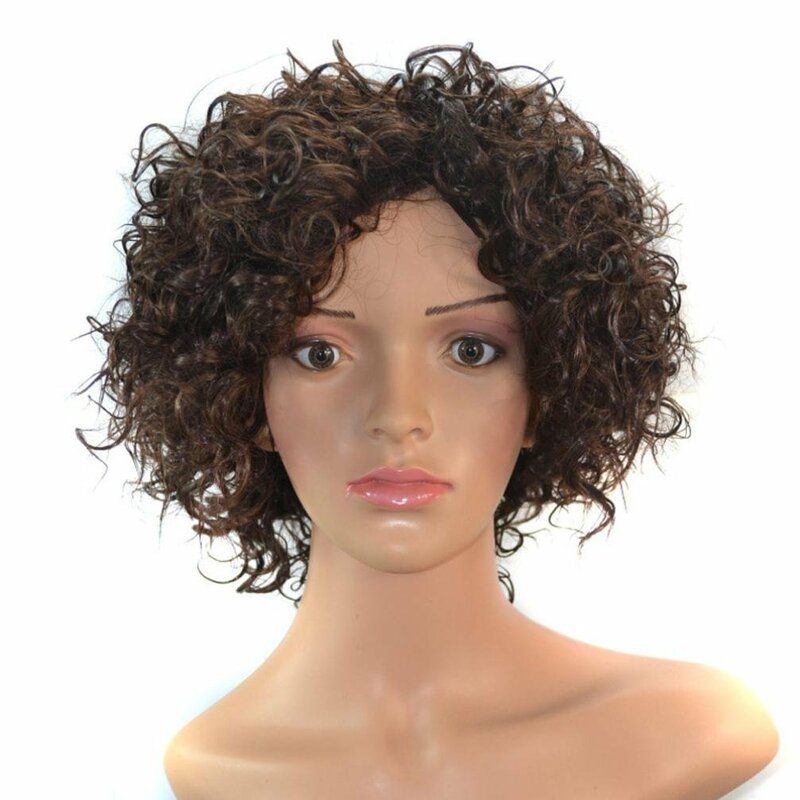 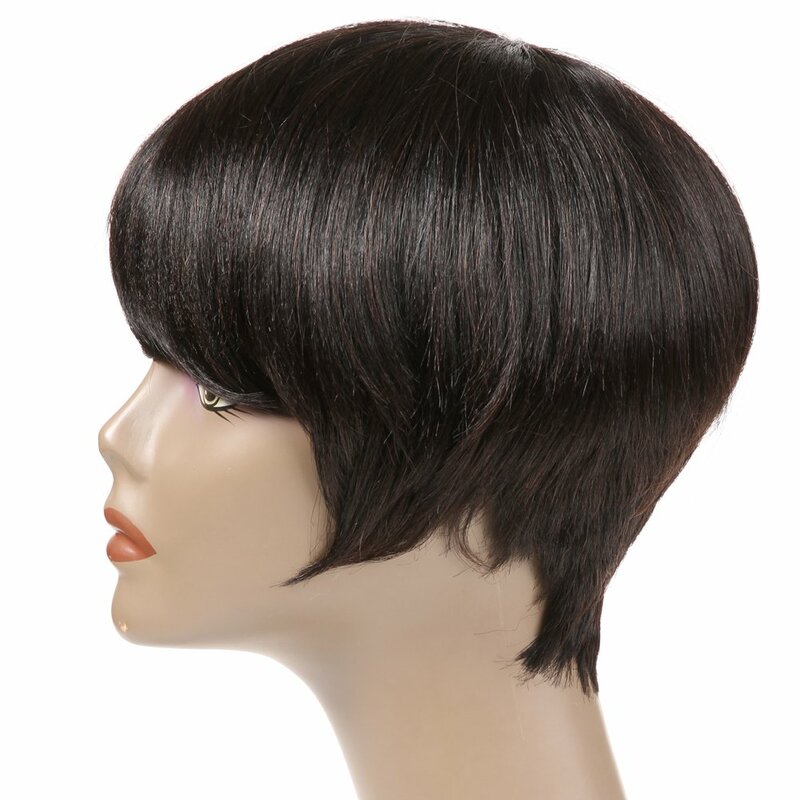 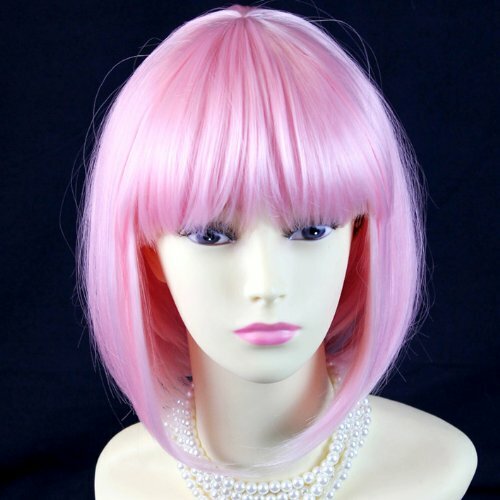 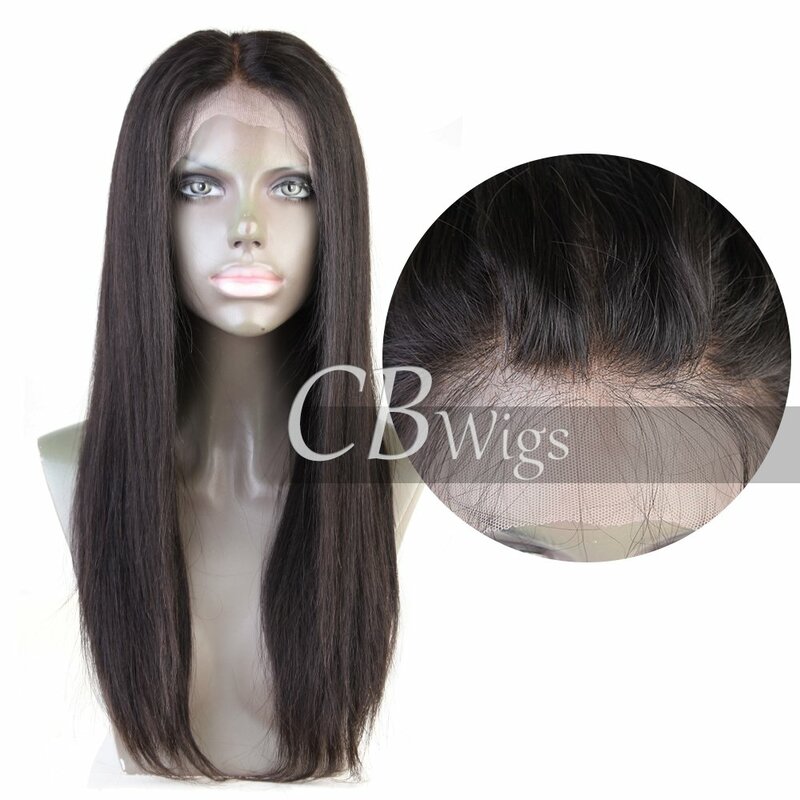 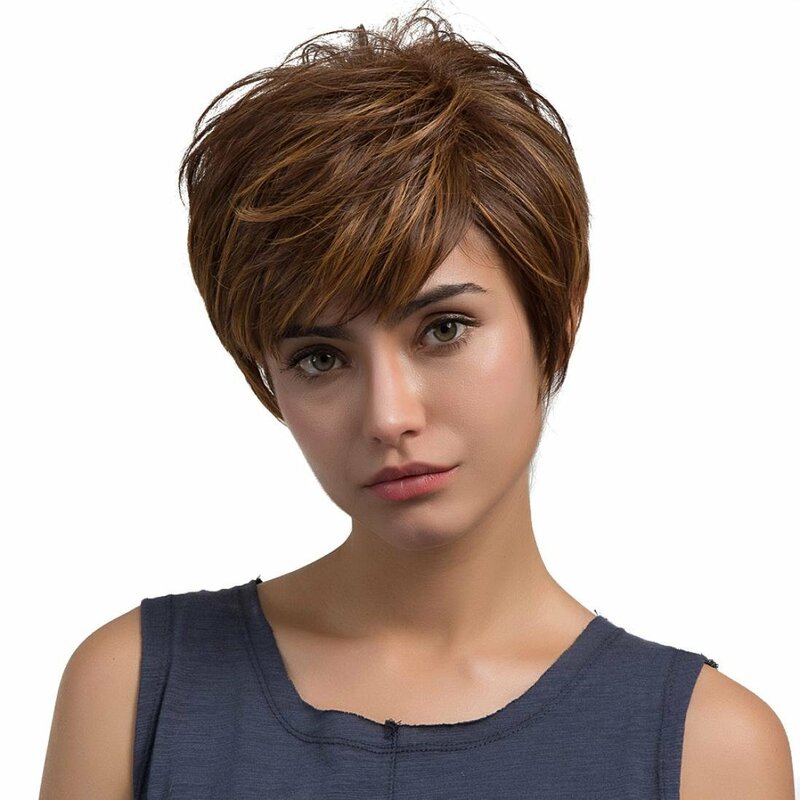 Hair Color and Density: Natural Black Color, 130% Density, Very Full and Thick.This is not lace front wig and not full lace wig, it is a machine made human hair bob wig. 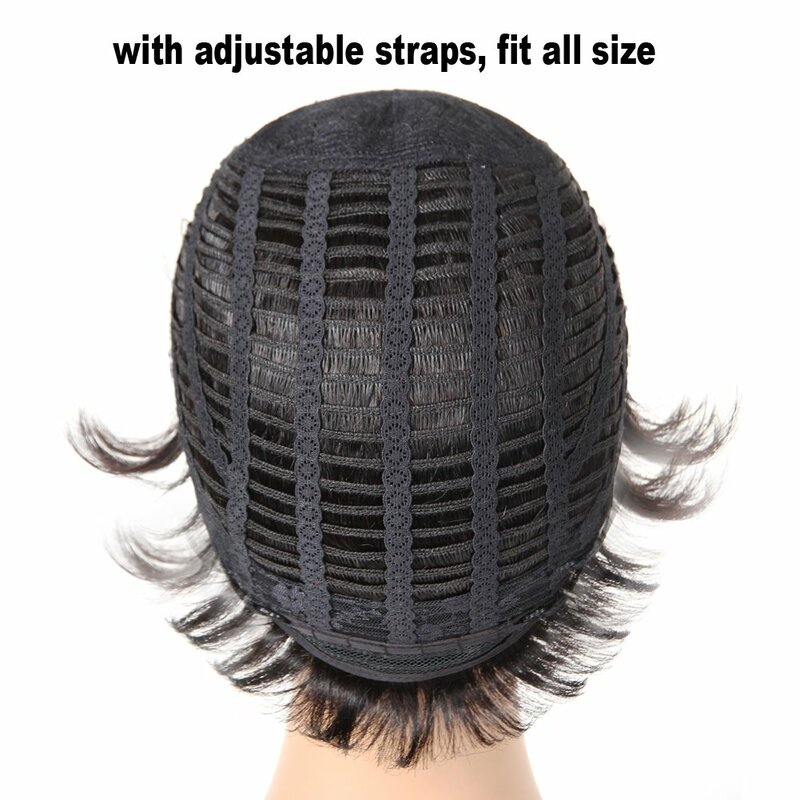 Cap size: avarage cap,with adjustable straps that can be adjusted by adjutable straps in a large range to fit all heads. 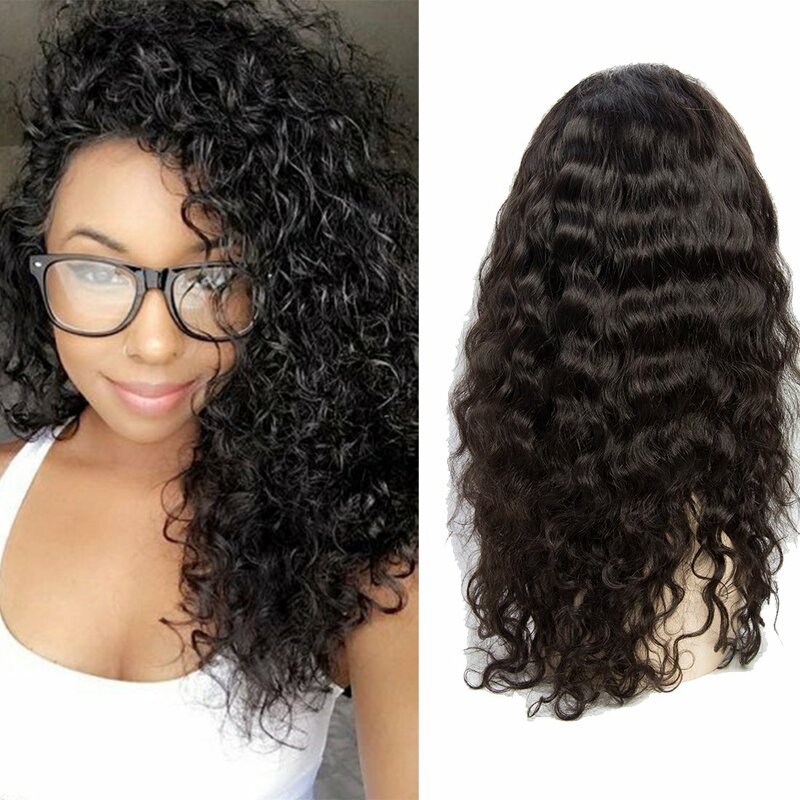 VIPbeauty Water wave Perruque lace frontale 130% Densite Remy cheveux Bresilien naturel couleur naturel pour femme 16 pouces.